Marchettino - The ONLY official website: Bear rides a Lamborghini! If you think that owning a Lamborghini is the ultimate way of being a poser, probably you have never thought to show off with a bear in the passenger seat! 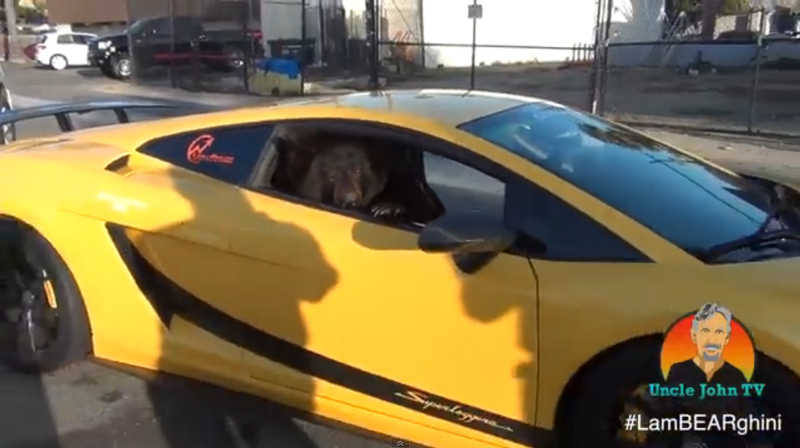 Just a few days ago a picture of a bear sitting in a Lamborghini Superleggera went viral on the internet, of course many people wondered if it was real or not but with this video we clearly see the bear is real and is a truly efficacious crowd-magnet!